estate and is her constant companion. 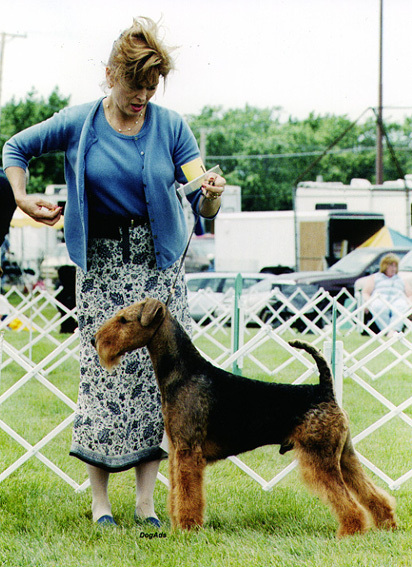 Wins Best in Sweepstakes at Great Lakes Terrier Association Airedale Specialty. Wins Best in Sweepstakes at Wisconsin Airedale Terrier Specialty. 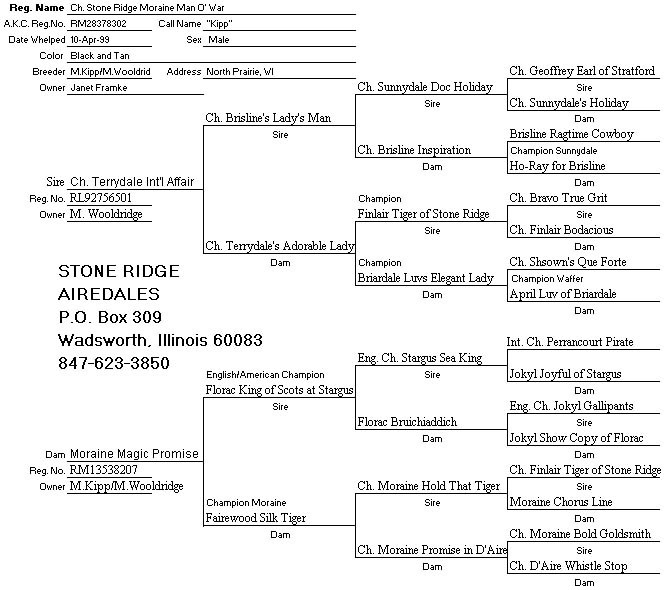 WINS BEST OF BREED OVER SPECIALS FROM THE PUPPY CLASS AT THE WISCONSIN SPECIALTY!! !